An infantry soldier who died during a training exercise in Wales was based at Catterick in North Yorkshire. Joshua Hoole, 26, collapsed while conducting a 'standard fitness test' around his barracks. An infantry soldier has died while on a training exercise. The MOD said the soldier, from the Infantry Training Centre, in Catterick, North Yorkshire, died in the Brecon area of Wales on Tuesday, Britain's hottest day of the year so far. 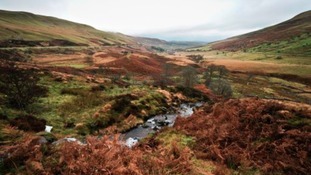 Three soldiers died during an SAS training exercise in the Brecon Beacons on one of the hottest days of 2013.